Simplicity and style converge in these large trinity knot drop earrings. 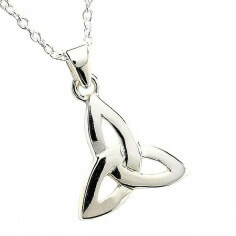 This most basic of Celtic knots, the Trinity knot is thought to have symbolized a trio of gods. Christianity appropriated this motif, which predates the crucifix by hundreds of years, to signify the Father, Son, and Holy Spirit. 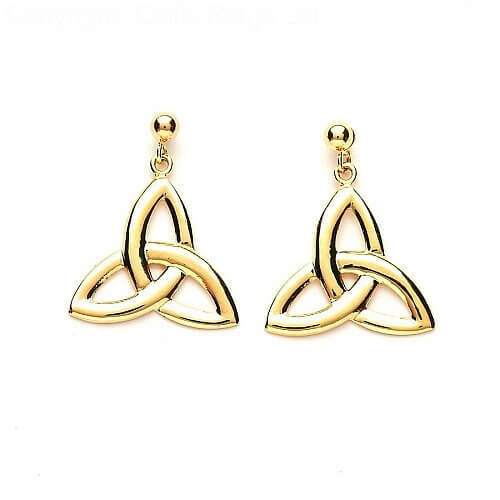 The incorporation of the Trinity knot into jewelry often represents eternity or eternal love, making these a sweet gift for your beloved. Choose these Trinity earrings in silver, 10k or 14k yellow gold, or 14k white gold. 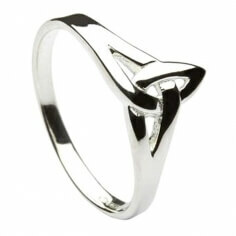 Great business and the silver Trinity Knot earrings I bought for my wife are beautiful! Can't say enough about their service and the effort they made to get these to me before Christmas.